It may be a lesser-known destination, but Pago Pago should not be overlooked when choosing your next cruise. The capital of American Samoa, located in the South Pacific Ocean to the west of the Cook Islands, this is a truly magnificent tropical destination. Read on to find out more about Pago Pago, or click here to see the latest deals on South Pacific cruises. Pronounced “Pango Pango”, this place resembles a village more than a city. This is a wonderful destination if you like to explore somewhere a little different: while there are regular flights to the island from Hawaii, there is relatively little tourist infrastructure and Pago Pago receives few visitors compared to some of the more well-known Pacific Island destinations. 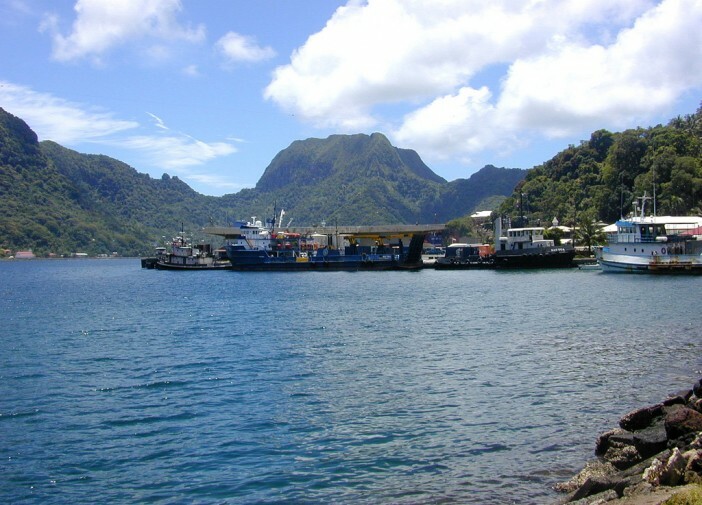 Most of the population and industry is centred around the stunning Pago Pago Harbour – this is one of the most dramatic harbours in the South Pacific and the whole region is known for its dramatic landscapes. The landscape was created when the enormous seawall of an extinct volcano collapsed and the sea flowed in. Today the spectacular mountains surround the harbour. The town of Pago Pago is dominated by the massive Mt Pioa, over which rain clouds gather, earning it the nickname of “The Rainmaker”. This rain helps create the luscious green landscapes which Pago Pago is renowned for. There are many different tours and excursions you can take in Pago Pago to help you explore this beautiful part of the world and learn more about its unique culture and heritage. You can take a trip to a traditional Samoan village where you can watch a traditional cooking demonstration using an umu (oven) and also enjoy some local music. You can also visit the Tia Seu Lupe Park, which is home to one of American Samoa’s best star mounds – these are ancient stone mounds which were built for the Chief’s sport of pigeon catching, and they serve as an excellent insight into the region’s ancient culture. With many more excursions and tours to choose from, you will find plenty to see and do in this beautiful part of the world. Here are just a few examples of our recent South Pacific cruises. Be sure to visit our South Pacific deals page to see our most up to date offers. Sailing from Sydney you will then travel to Noumea, Easo, Port Vila, Suva, Pago Pago, Nawiliwili then finishing in Honolulu. You will set sail from Sydney then cruise to Nuku’Alofa, Apia, Honolulu, Maui (Lahaina), Hawaii, Kona, Nawiliwili, Hilo, Papeete, Moorea, Bora Bora, Pago Pago, Suva and Noumea before returning to Sydney.